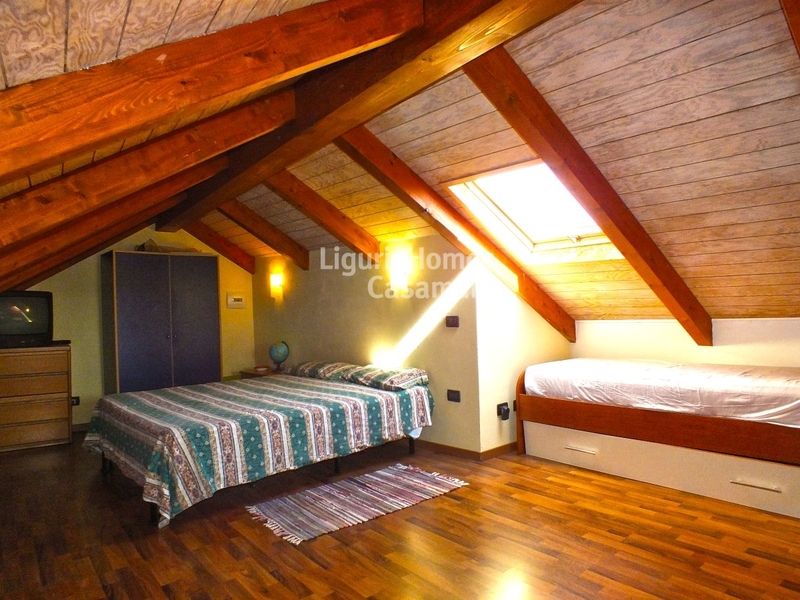 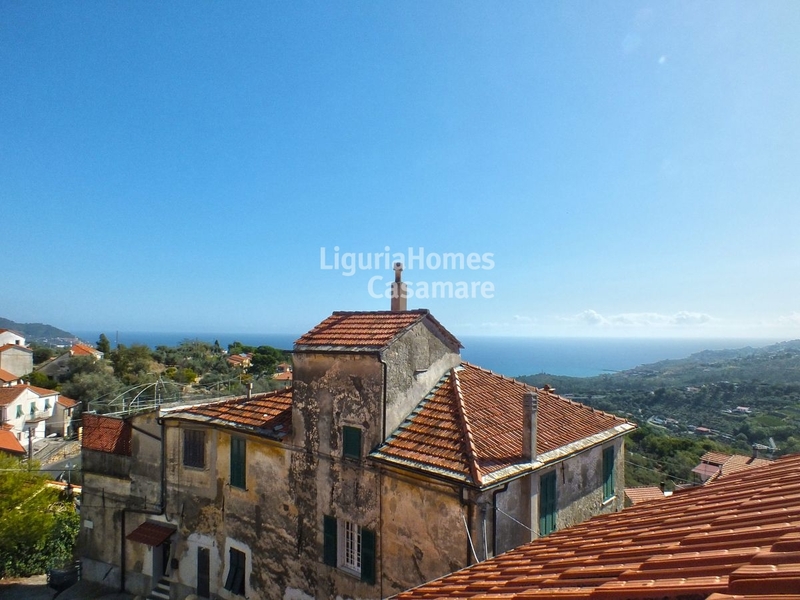 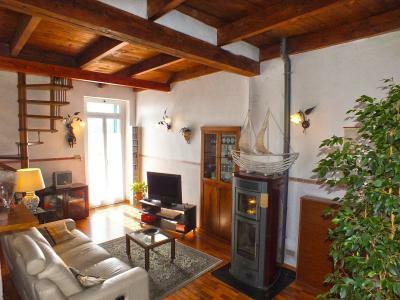 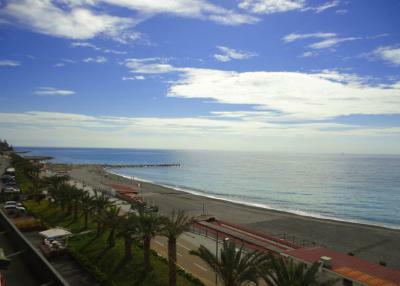 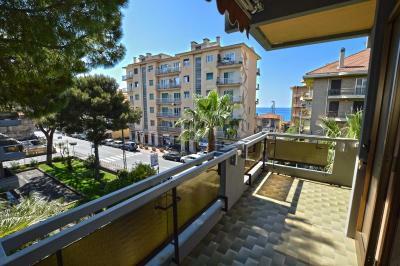 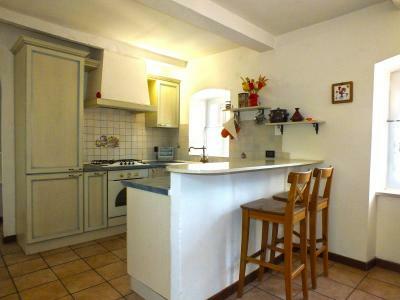 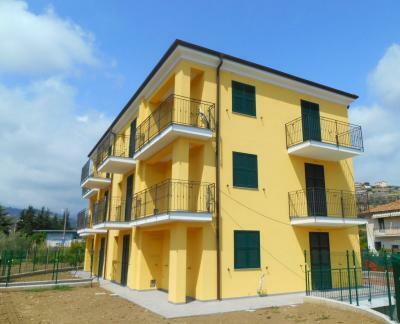 Diano Marina, two bedroom Apartment for Sale with sea view. 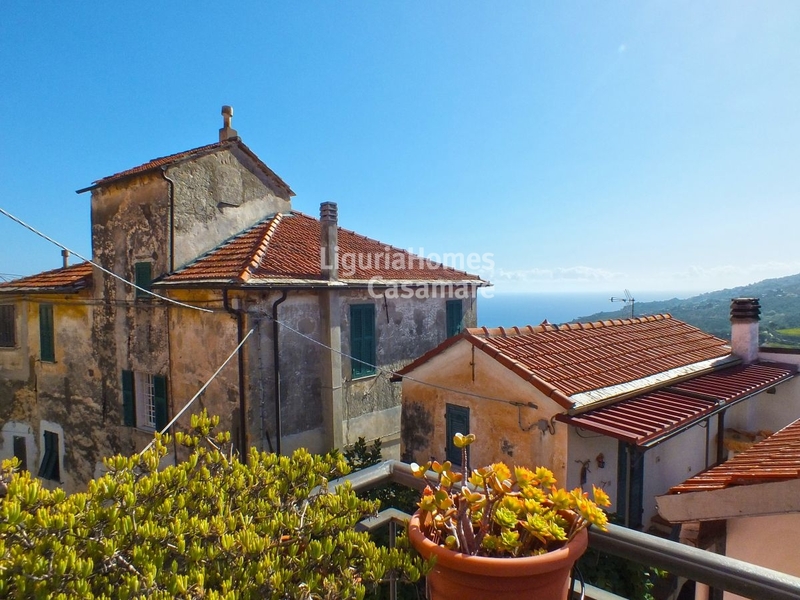 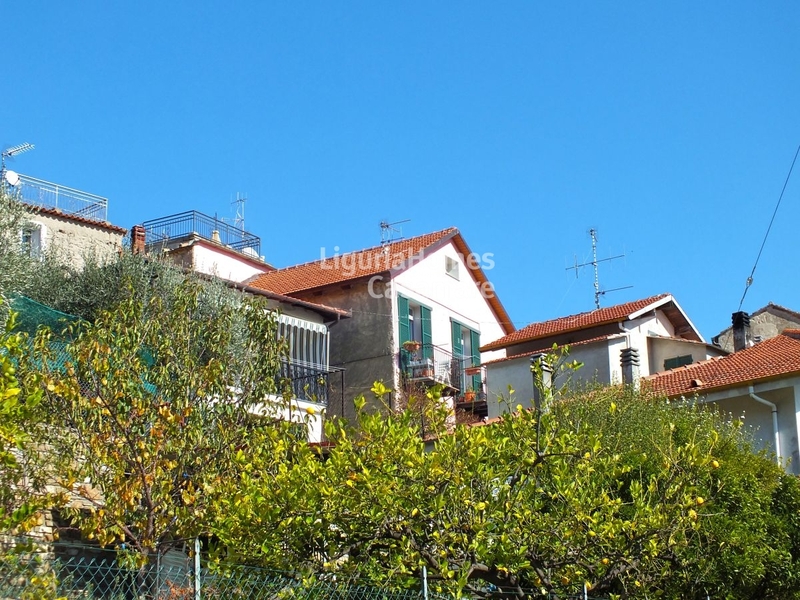 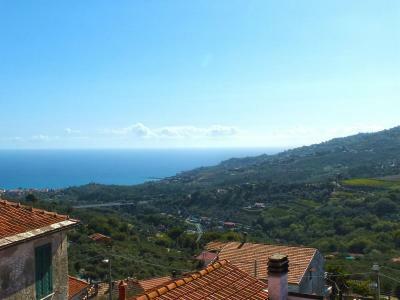 In the hills of the famous Diano Marina, in the beautiful village of Diano Serreta, nice two bedroom Apartment for Sale with sea view. 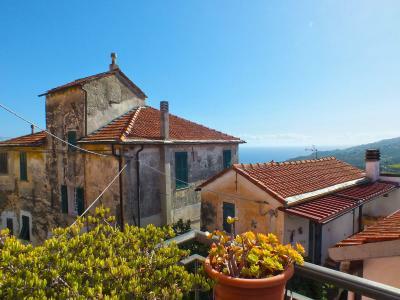 Walking some steps from the main road you will reach the heart of the small village of Diano Serreta, hamlet of Diano Marina, the two bedroom Apartment for Sale is located on the first floor of a small house; perfectly renovated has a nice view overlooking the old village and the sea from East to West. 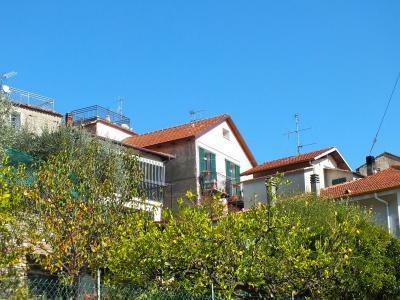 Internally the Apartment for Sale in Diano Serreta, Diano Marina, is placed with an entrance to a living room, a separated kitchen, a bedroom, a bathroom, a utility room/laundry room and two balconies with beautiful sea view. 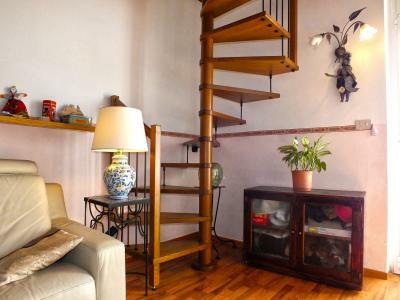 A spiral staircase leads to an additional, large, attic bedroom currently used as a study and bedroom, also from here you can enjoy a beautiful sea view. 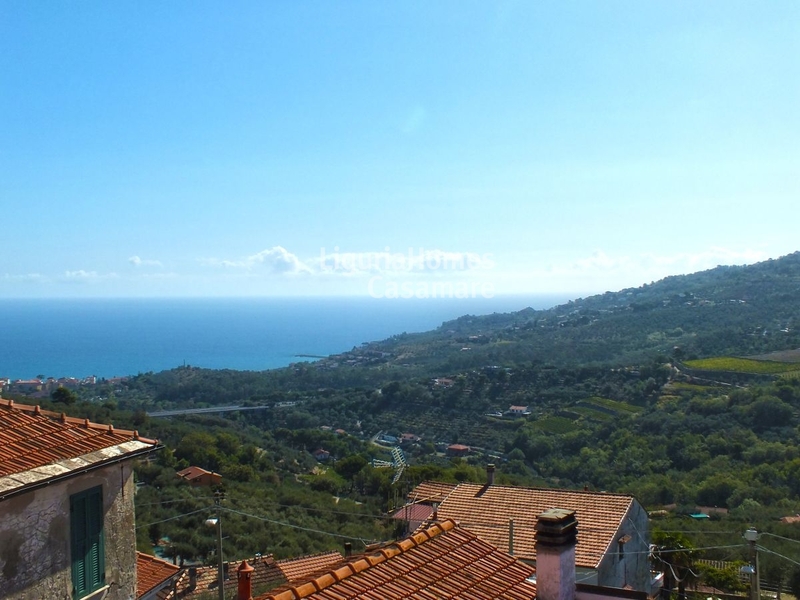 The two bedroom Apartment for Sale in Diano Marina with lovely sea view is an excellent opportunity both as first house and as a holiday home.